Composite fillings or tooth colored fillings are tooth colored composite resins used for cavities and repairing decayed, fractured or damaged teeth. Composite fillings are resin based and are used as a cosmetic alternative to silver amalgam fillings. Tooth colored fillings can be used on either front or back teeth. They are typically used on small to mid-sized fillings. They will withstand moderate pressures from chewing. White or tooth colored composite fillings are a good choice for people who prefer that their dental work look more natural. As with most dental fillings, composite fillings will not last forever and may need to be replaced someday. Composite fillings are very durable and will last many years giving you a beautiful, long lasting smile. There are many types of materials used for dental fillings, each with their own advantages and disadvantages. 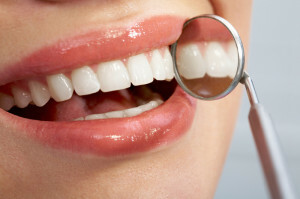 Consult your dentist for the best options for restoring your teeth. Treatment: Composite fillings are usually placed in a single appointment. Small cavities usually require removal of the decay with a dental drill followed by cavity filling. The dentist places the composite in layers using a specialized light to cure or harden each layer. When the process is finished, the dentist will shape the composite to fit the tooth. Composite fillings bond directly to the tooth’s structure, thus strengthening the damaged tooth while preserving the natural appearance of your smile. The tooth colored fillings also create a micro-seal within the tooth, which ensures that food and bacteria won’t seep into your filling. What’s more, composite fillings come with little risk for allergic reactions, as these synthetic resins are designed for maximum biocompatibility and contain no mercury or metal. Don’t let tooth decay or damage hold you back from your best smile. Let Dr. Kidess in Paradise Valley show you how composite fillings can repair and preserve your smile. During your consultation with Dr. Kidess, you can be sure you’ll receive a personalized solution for your dental needs. Dr. Kidess can show you how composite fillings work, what to expect from your procedure, and the impact it will have on your smile.